Moving north from the Place de Bastille up the wide Boulevard Richard Lenoir, one of largest markets in Paris can be found. 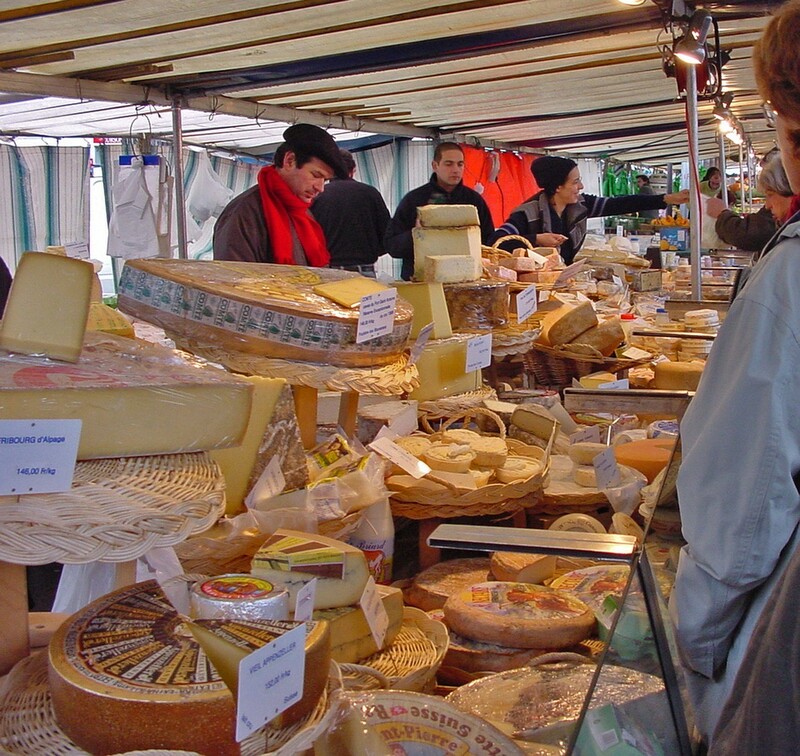 Every Sunday and Thursday you can head to Marché Richard Lenoir, or Bastille Market, to rummage through the various stalls, especially for your pick of a wide range of delicious food. On the wide Boulevard Richard Lenoir, between Amelot and Saint-Sabinone streets, you'll find one of the largest markets in Paris can be found. Every Sunday and Thursday you can head to Marché Richard Lenoir, or Bastille Market, to rummage through the various stalls, especially for your pick of a wide range of delicious food. With a huge range of fruit, vegetables, cheese, meat, pâtisseries and a load of other things thrown in, this is a great market for stocking up on a Sunday. Vendors from the three rows of stalls call out the bargains, and entice you over with scraps of the season’s highlights to taste. Beware of being tempted into more than you can carry. Many an unsuspecting picknicker has wandered away bemused at the kilos of watermelon and ripe-to-eat avocados that seem to have made their way into their basket. Songs from the odd performer-and-instrument combo encourage a foody spirit. The river and the Coulée Verte René-Dumont (Promenade Plantée) are right nearby if you need a picnic destination. The boulevard is a Baron Haussmann installation, named after two industrialists who brought the cotton industry to Paris in the eighteenth and nineteenth centuries: François Richard and Joseph Lenoir-Dufresne. A famous art market, Marché de la Création Paris-Bastille, is also held here every Saturday, 10.00-19.00.